O.k. … I know it’s not much … but this is our first all-to-ourselves, anchor-off-the-beach, feet-on-the-ground, tropical island! 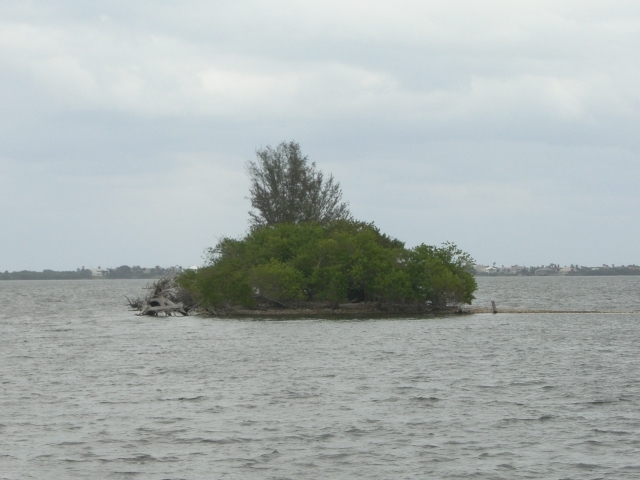 It has a nice stand of trees, a small sandy beach, a few dozen little lizards, a sting ray & a pod of dolphins feeding off the inlet. As we head south, I’m sure we’ll do much better! We’re also hoping for a sky with more blue, turquoise water & Lori mentioned something about wanting a larger beach! ← St. Augustine: Florida at last!